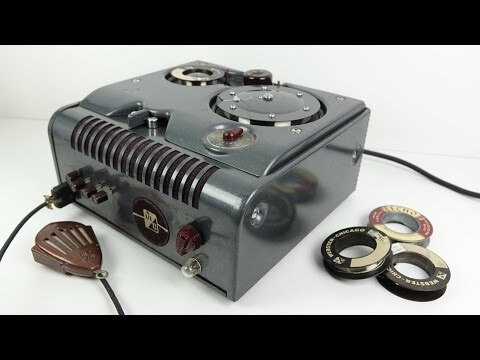 Here is an interesting video that looks into the Webster Chicago wire recorder, a similar model that Django used to record the 1948 Brussels concert and named his composition "Webster" after. Something that frightens me about this is the ambiguity of the recording medium. To anyone else it would look like some sort of steel wire, and not a recording of some kind, unless it had a label.